1. The Geomagnetosphere is the nearest giant natural laboratory; research is made possible by use of satellites to investigate in detail different plasmas and energetic processes in space caused by the interaction of high kinetic energy solar wind plasmas and their perturbations (Coronal Mass Ejections – CME, Interplanetary Shock Waves – ISW, Interplanetary Interaction Regions – IIR) frozen in Interplanetary Magnetic Fields (IMF) with the rotated main geomagnetic field. This interaction leads to dynamic transformation of magnetic fields in the geomagnetosphere, generation and trapping high energy particles (which can be called as Magnetospheric Cosmic Rays – MCR), and the generation of multiple instabilities and electromagnetic radiations. These processes are in principle similar to processes in magnetospheres of other planets and their magnetic satellites, the atmosphere of the Sun and other stars, interplanetary and in interstellar space, and in many different astrophysical objects. 2. Modern technology, economics, navigation, television, internet, radio, military aspects, and the life of people on our planet are strongly connected to the operating systems of many satellites moving inside the geomagnetosphere. 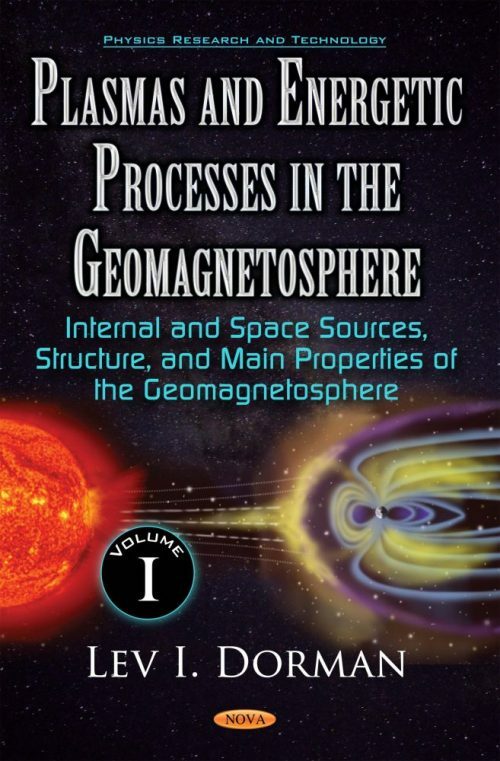 Different processes and MCR in the geomagnetosphere influence the operating systems of many satellites and often cause complications, from mild satellite malfunctions to fully destroying their hardwiring. The described research can be considered as a basis for developing methods of forecasting dangerous situations for satellites in different orbits and to decrease the risk of satellite breakdowns. 3. The interaction of Coronal Mass Ejections, Interplanetary Shock Waves, and Interplanetary Interaction Regions with the Geomagnetosphere leads (as result of plasmas and energetic processes in the Geomagnetosphere) to generation big magnetic storms accompanied with Forbush decreases and precursory effects in cosmic ray intensity. These big magnetic storms are dangerous not only for satellites, but also on the Earth’s surface for technology, communications, train and car accidents, people health (e.g., increasing frequency of infarct myocardial and brain strokes). Investigations of causes of magnetic storms can help to develop methods of their forecasting (including also cosmic ray data) and decreasing the level of magnetic storms hazards. Therefore, the other practical application of this research is connected with the problem of space weather influence on the technology, communications, transportation, and people health on the Earth in dependence of altitude and latitude.